Vented Gas Logs Available through Fireplace Creation in Greenville, N,C. 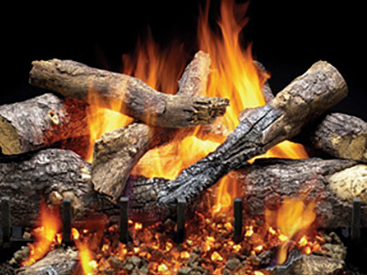 Vented gas logs are the best way to achieve an experience close to that of burning real wood. Realistic looking flames surround the edges of logs and ascend high into your firebox, just the way that wood burns naturally. 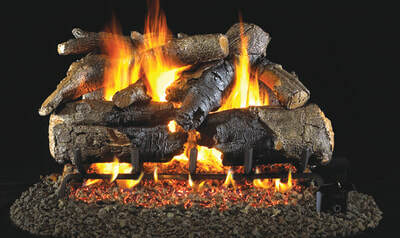 They also create a more "yellow color", which resembles real burning wood more effectively than ventless gas logs. Fireplace Creation offers many popular brands and styles of vented gas logs, along with professional installation and continued service after the sale!